The cardiologist is a doctor who trains in diagnosing and treating diseases of the heart and blood vessels the cardiovascular system. You might also visit a Cardiologist in Pune so you can learn about your risk factors for heart disease and find out what measures you can take for good heart health. 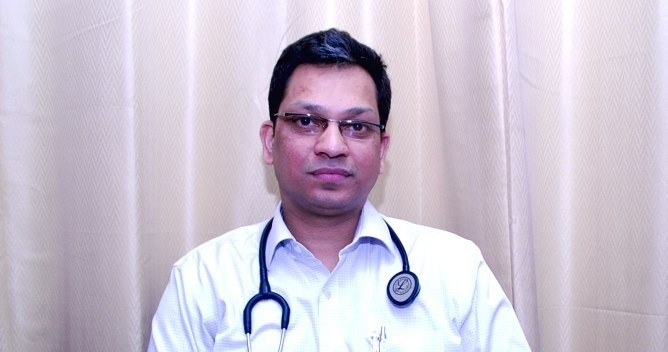 Dr.Ajit Mehta is the best Cardiologist In Pune, currently practicing at Jehangir Hospital, which is an associate hospital of the Apollo Hospitals group.he is recognized for his Interventional skills and genuine guidance on the treatment of Cardiac diseases. He specializes in Paediatric Cardiology and device closure for Atrial Septal Defect and Patent Ductus Arteriosus. He helps patients not only in their treatment but in overall development in order to prevent and, when necessary, manage the disease. In these centers, lifestyle change is the main motto, and all patients are guided accordingly. Events such as walks and treks, health camps, awareness programmes, etc, are conducted regularly. Dr.Ajit Mehta has also established the Prime Care Cardiac Foundation in Pune, under the banner of which several cardiac activities are undertaken for General Practitioners, Physicians, and students in Cardiology. Our integrated cardiovascular team offers individualized treatment to guide patients through the diagnosis, medical or surgical treatment and rehabilitation of complex heart diseases. We offer amenities in Cardiac diagnosis, treatment, research and, cardiac rehabilitation & patient education at an affording cost with round the clock individual patient care. Cardiology is a complex field, so many cardiologists specialize in different areas. All cardiologists are clinical cardiologists who focus on the diagnosis, medical management (use of medicines), and prevention of cardiovascular disease. Some clinical cardiologists specialize in pediatric cardiology, which means they diagnose and treat heart problems in children. When clinical cardiologists treat only adult patients, they specialize in adult cardiology. Other clinical cardiologists may specialize in interventional procedures (balloon angioplasty and stent placement), echocardiography, or electrophysiology. Non-invasive cardiology means detecting and diagnosing heart problems using techniques such as blood tests, electrocardiography, where the heart’s electrical activity is examined with an ECG machine, and cardiac stress testing, which looks at how the heart responds to exercise. Non-invasive cardiology may also involve using a defibrillator, which gives a patient an electric shock to start the heart pumping correctly after a cardiac arrest and prescribing certain drugs. Interventional cardiology means treating heart problems by inserting catheters – or tubes – into a patient’s body. These techniques include angioplasty, where a tube is inflated inside the arteries to allow the blood to flow properly, and cardiac ablation, where a catheter fitted with an electricity-emitting electrode is inserted into the body to treat people with irregular heart rhythms – or ‘heart flutters’. Cardiologists will normally be trained in both non-invasive and interventional techniques. They will also deal with patients who have been fitted with pacemakers, which are small devices that use pulses of electricity to prompt the heart to beat at the right rate. Cardiologist in Pune often works closely with cardiac physiologists, who help to diagnose patients with heart problems, and Cardiographers, who use electrocardiograph (ECG) and other machines to monitor patients, and sometimes cardiac surgeons, who perform open heart surgery and heart bypass operations. Cardiologists diagnose and treat heart and vascular conditions using medications and interventional procedures including cardiac catheterization, balloon angioplasties, Rotoblation, atherectomies, bare metal, and drug-eluting stents. Dr.Ajit Mehta is the best Cardiologist in Pune.